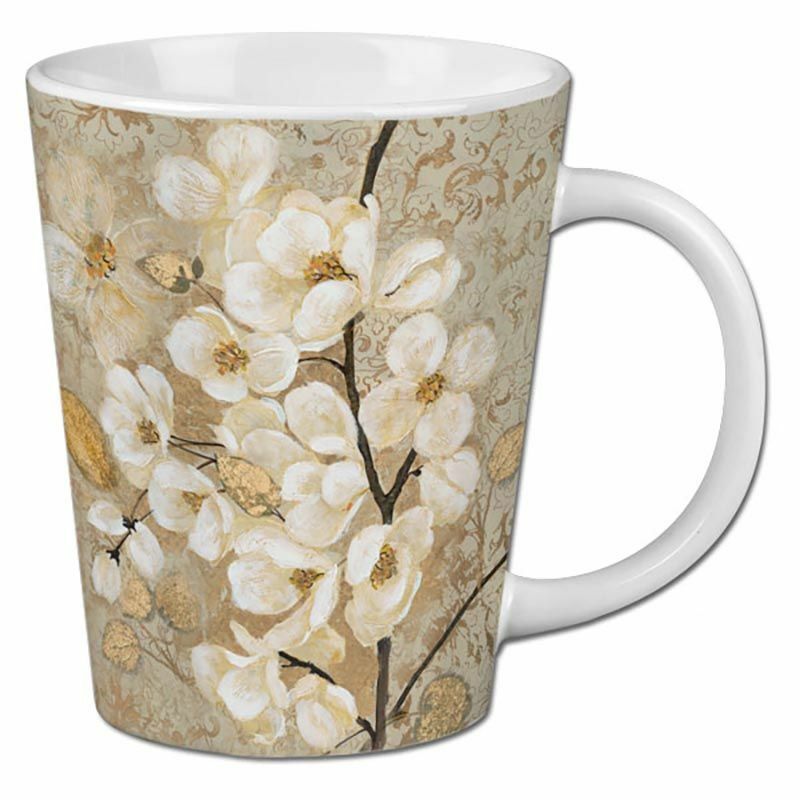 Start your morning from this beautifully designed latte mug! Watch your day go beautifully as well! The 12 oz. 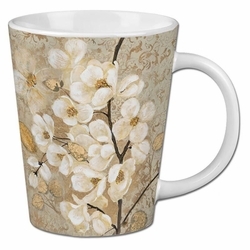 Latte Mug flares at the mouth and narrows at the base and features a comfortable C-shaped handle. Mugs measure 3.5" top x 2.5" base x 4.375" H.